It's that time of the year when Indians wait anxiously for the General Budget and the finance minister has to do a delicate balancing act. And although the Budget over a period of time has been losing the importance it once enjoyed, the taxation proposals that the finance minister announces draw the most amount of interest from most of the populace. The Indian economy is slowly recovering, backed by a stimulus through tax cuts and higher spending by the government. The buzz is that Finance Minister Pranab Mukherjee might withdraw some of the fiscal stimulus in the Budget. Meanwhile, rising prices continue to haunt the common man. Prices of essential are at an all-time high. Will this Budget bring any relief to the common man? The process of making the country's biggest fiscal package is tough. It is a balancing act to make sure the fiscal deficit does not rise further and at the same time ensure growth of the economy. 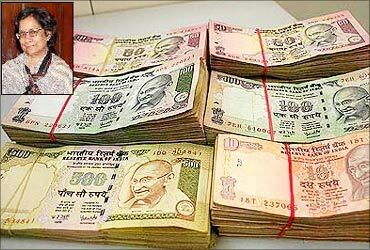 The government had provided three stimulus packages to the industry resulting in a revenue loss of Rs 1.86 lakh crore (Rs 1.86 trillion). Pranab Mukherjee has already held meetings with the finance ministers of the various states and senior officials of the ministry before finalising the Budget. He is assisted by a team of high profile bureaucrats who work overtime with mindboggling figures to make a balanced Budget that helps the common man and the industry. Here's a look at the key members who make the country's biggest fiscal package. Click NEXT to read further. . . 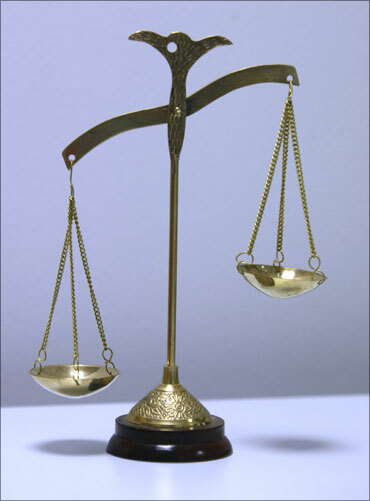 Image: The finance minster will have to perform a balancing act in this Budget. 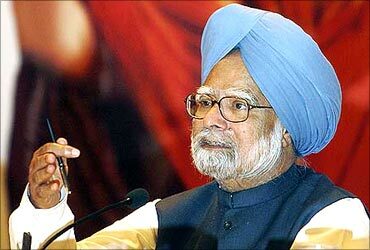 Hailed as the father of India's economic reforms, Prime Minister Manmohan Singh takes part in the Budget-making process. The prime minister holds talks with the finance minister, economists and senior officials to make sure that the Budget unveils policies to stimulate economic growth. "With good crop prospects, remunerative prices being in place and Indian prices broadly in line with international prices, we will soon be able to stabilise food prices," he said at a conference of Chief Ministers. "This is not the first time that we are facing high rates of inflation of food articles. We had a similar upsurge in 1998. Food prices are subject to cyclical bursts of inflations and we must work together to bring them under reasonable control." Earlier, during his tenure as the Finance Minister from 1991 to 1996, Singh ushered in economic reforms that pushed the Indian economy to new heights. Singh was the Governor of the Reserve Bank of India from 1982 to 1985, the Deputy Chairman of the Planning Commission of India from 1985 to 1987. Click NEXT to read further. . .
Pranab Mukherjee is confident that India would grow at a faster pace of 7.75 per cent in the fiscal year to March 2010 against 6.7 per cent in the previous year. 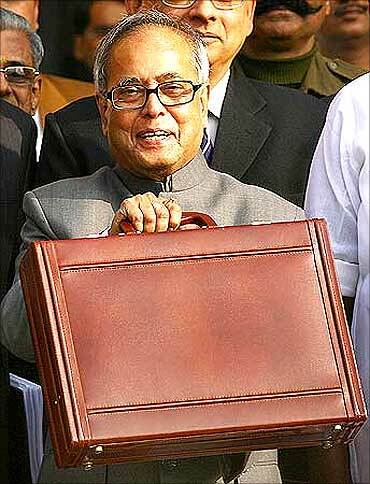 On July 6, 2009, Pranab Mukherjee presented the United Progressive Alliance government's annual budget. He announced various stimulus schemes, the scrapping of the Fringe Benefit Tax, and the Commodities Transaction Tax in the Budget. As the economy recovers, the finance minister faces the challenging task of rolling back the fiscal stimulus, containing the burgeoning fiscal deficit and pushing growth. Mukherjee is ranked as one of the best five finance ministers of the world for the year 1984 by Euro Money, a New York journal. Click NEXT to read further. . .
India could emerge as the fastest growing economy in the world, beating China as the nation has yet to achieve its full growth potential, according to Montek Singh Ahluwalia. The economy is expected to grow by 8 per cent in the year ending March 2011. The Planning Commission has also pitched for phased withdrawal of stimulus in the forthcoming budget. Ahluwalia became the first director of the Independent Evaluation Office, International Monetary Fund (IMF) on July 9, 2001. On June 16, 2004, he was appointed as Deputy Chairman of the Planning Commission by the United Progressive Alliance government and was reappointed to the post on June 5, 2009 by Prime Minister Manmohan Singh. Click NEXT to read further. . . 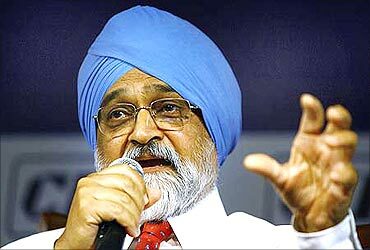 Image: Montek Singh Ahluwalia, Dy Chairman, Planning Commission. Finance Secretary Ashok Chawla said the economy could finally grow higher than the 7.2 per cent estimated by the Central Statistical Organisation. The fiscal deficit would be cushioned by better-than-anticipated proceeds from stake sales in state-run firms. A key official in the Budget making exercise, Chawla is a Gujarat cadre IAS officer of the 1973 batch and has also worked as secretary in the ministry of civil aviation. The finance ministry has five departments: economic affairs, revenue, expenditure, financial services and divestment. Click NEXT to read further. . . 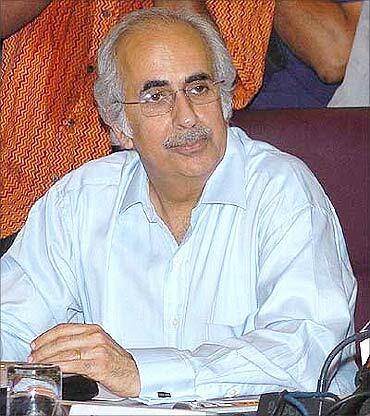 Image: Ashok Chawla, Finance Secretary. Kaushik Basu is the new Chief Economic Advisor in the Department of Economic Affairs in the Ministry of Finance. "Financial sector reforms have to be a perpetual process. It is the government's role to evolve new policies which regulate financial sector behaviour without stifling enterprise and innovation. The big risk of crisis arises not from the financial sector reforms but, on the contrary, stagnation in them and their failure to keep up with the evolving markets," he said. Basu was earlier chairman of the Department of Economics at Cornell University, USA. He was also the Professor for Centre for Analytic Economics and Program on Comparative Economic Development at the same University. Click NEXT to read further. . . 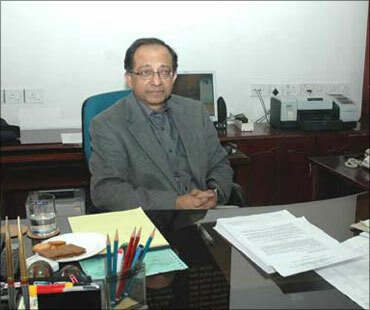 Image: Kaushik Basu, Chief Economic Advisor. C Rangarajan has called for a roadmap for withdrawal of stimulus in the upcoming Budget. "A 7.2 per cent growth rate (projected by CSO) for the current financial year indicates that growth impulses are strong. 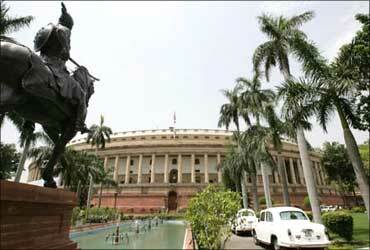 Process of fiscal consolidation must start and some steps can be taken in the Budget," Rangarajan said. A former Reserve Bank Governor, Rangarajan is a close confidant of Prime Minister Manmohan Singh. He was Governor, Reserve Bank of India from 1992-1997. During this period, besides making monetary policy a flexible instrument of economic policy in achieving growth and price stability. He gave a major thrust to financial sector reforms. He was also member of the Planning Commission. Click NEXT to read further. . . Image: C Rangarajan, chairman, Prime Minister's Economic Advisory Council. Photographs: Courtesy, Planning Commission website. Sunil Mitra has taken over as the new Revenue Secretary. Mitra plays a crucial role in the formulation of the Budget. A 1975 batch West Bengal cadre IAS officer, he was earlier secretary of the department of disinvestment. Click NEXT to read further. . . 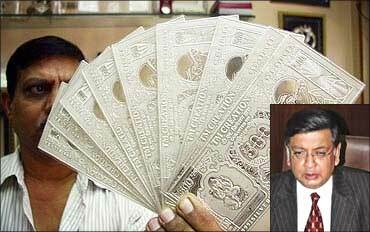 Image: A jeweller displays silver plates in the form of Indian rupee notes. Sunil Mitra (inset). Sushma Nath is Secretary, Department of Expenditure. She was earlier Secretary, Sixth Central Pay Commission. She is in charge of a major responsibility -- preparing the expenditure part of the Budget. This department is responsible for sanctioning funds to other ministries and government offices. The Finance Ministry has already asked various departments and ministries to cut down excess expenditure. Sushma Nath leads a team of women officers in the department of expenditure -- additional secretary Vilasini Ramachandran, joint secretaries Anjuly Chib Duggal, Meena Aggarwal from Indian Railway Accounts Service (IRAS) and Madhulika Prasad Sukul of Defence Accounts Service. Click NEXT to read further. . . Image: Indian currency notes, Sushma Nath (inset). Sumit Bose has been appointed as the new Disinvestment Secretary. He was secretary of the 13th Finance Commission. Bose has a tough task in hand with the government planning a roadmap for divestment in many public sector undertakings next month. Bose, 1976 batch IAS officer from Madhya Pradesh cadre, was with the Finance Commission for two years. Click NEXT to read further. 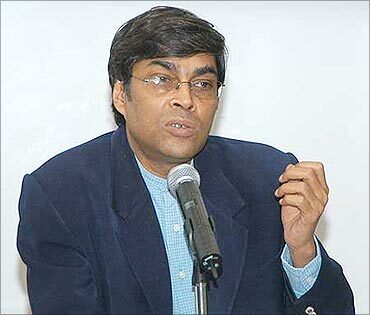 . .
Shubhashis Gangopadhyay is a renowned economist with a doctoral degree from Cornell University in the US. Gangopadhyay was working as director, India Development Foundation. Click NEXT to read further. . . Image: Shubhashis Gangopadhyay, Advisor to Finance Minister. T K A Nair holds meetings with top officials and makes notes on important issues related to the Prime Minister's Office. Nair headed the task force on micro, small and medium enterprises (MSME) that suggested changes in policies to boost the growth of MSMEs. The task force has submitted a plan for creating an environment for entrepreneurship and growth of MSMEs. 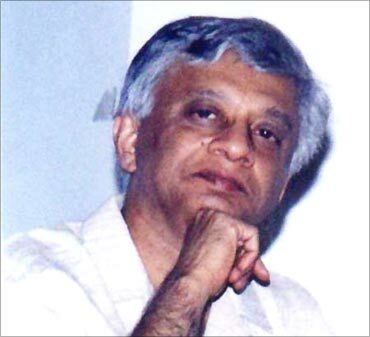 Nair, a retired IAS officer of the Punjab cadre, was made the Principal Secretary to the Prime Minister in 2004. Image: T K A Nair, Principal Secretary to the PM.